Chukar tracks are easy to spot in the snow. The birds stay in a smaller area, making it easier to find them Falling snow is good news for chukar hunters. Once snow starts to fall, chukars—which roam over a large area during the warmer months—concentrate in smaller areas. That makes it easier to find the birds. Chukar partridge also live in some of Utah’s driest country. That’s another reason why they’re a great bird to hunt in the winter. You won’t have to worry as much about getting your vehicle stuck in snow, or hiking through deep snow, like you might while participating in other hunts in the winter. Colder weather also makes hiking less strenuous. And rattlesnakes are hibernating now, so you don’t need to be concerned about them either. 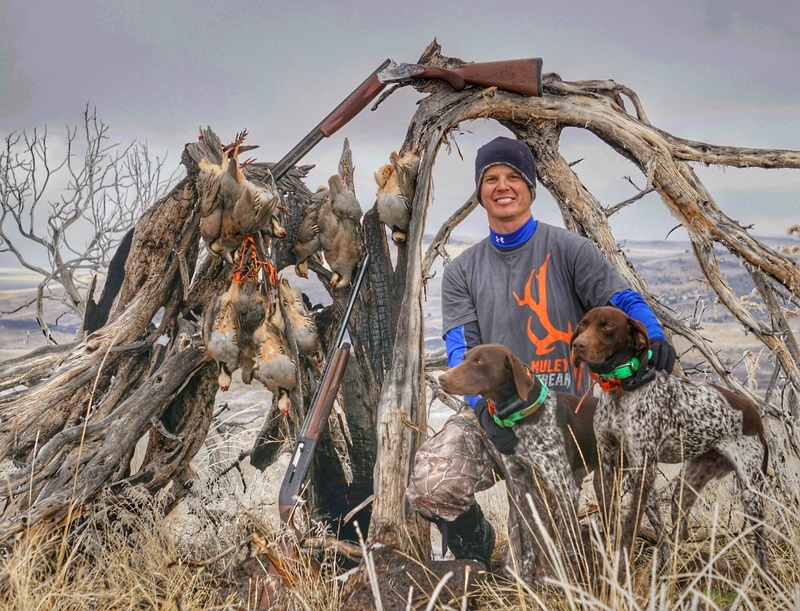 Robinson says another advantage to hunting chukar in the winter—or anytime during the season—is the tasty meal the birds provide. “Chukar are the best-tasting game bird in Utah,” he says. Be aware, though—to put a tasty meal on your table, you’ll have to earn it. Another thing you can earn is a coin for completing the state’s “Blister Slam.” The slam is one of six upland game slams in Utah. You can learn more about Utah’s Upland Game Slam at www.wildlife.utah.gov/uplandslam. The state’s chukar hunt runs until Feb. 15. More information about where to find chukars in Utah is available on page 36 of the 2016 – 2017 Utah Upland Game & Turkey Guidebook. You can get the free guidebook at www.wildlife.utah.gov/guidebooks. Before hiking up a hill to find chukars, you can save yourself time and energy by getting familiar with the landscape chukars live in. Robinson says chukars need three things: Cliffs for roosting, shrubby cover near the cliffs, and seeds and grasses to eat. In Utah, this habitat is usually found just below ridgelines at about 4,000 to 6,000 feet in elevation. As you scout these areas, looks for steep slopes because the terrain you’ll find chukars in is steep—very steep. To make the most of your energy supply, Robinson suggests hiking up to a ridgeline, and then walking along the ridgeline and then down from the ridge. During the early part of the season, chukar spend a lot of time hiding from birds of prey that are migrating through Utah. Now that these predators have moved through the state, the birds are free to spend more time finding seeds and grasses to eat. Unlike many upland game birds, chukars are not restricted to pockets of habitat that have stands of trees in them, so their habitat is expansive. In the winter, though, snow reduces the amount of area in which the birds can find food. 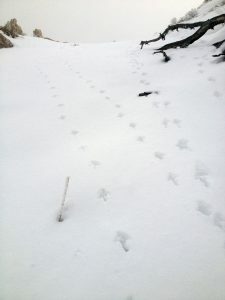 Robinson says in the winter, you should look for chukar on south-facing slopes. The snow on slopes that face south melts faster. As the snow melts, grasses green up for the chukars to eat. To hunt chukars, you have to hike up steep slopes. Make sure the boots you’re wearing provide good traction and ankle support. Robinson also suggests wearing your clothes in layers. Wearing layers allows you to remove a layer if you get hot while hiking. Then, if your hike brings you to a cold and windy ridgeline, you can put that layer on again. Shots at chukars often come at fairly long ranges. Robinson suggests using a 12- to 28-gauge shotgun, with a modified choke, shooting shot shells loaded with 4 or 5 shot. Bringing a trained hunting dog with you can also be a great idea. Trained dogs will help you locate the chukars. And they can retrieve the birds you shoot. “That will save you from having to hike down steep slopes to find birds on your own,” Robinson says. It’s time for an update on the Utah State University Forest Grouse Research Project in the Bear River Range, USFS Logan Ranger District. We have been busy catching and marking grouse, following broods, completing vegetation surveys, and assessing utilization distribution within pastures used by grouse. Captures – We have captured 35 grouse since July 1, 2016 bringing our project total to 70 marked (banded and/or radio). 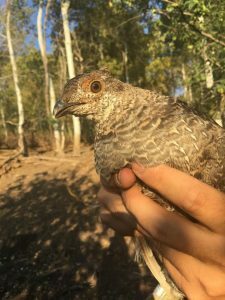 We have captured 57 dusky grouse with all 14 GPS PTT radios currently deployed and 18 with VHF radios. The rest of the dusky grouse were banded and most were juveniles too small to be radio-marked. We caught 32 female and 25 male dusky grouse. All 13 ruffed grouse were banded and released. We have been able to follow several dusky grouse broods during mid to late summer. Our project goal is to have at least 100 grouse marked, and it seems we will exceed this goal during our next field season. We have only experience a few natural mortalities this summer and survival of radio-marked birds has been high. We have experienced a few capture myopathies and have adjusted our methods accordingly. Vegetation Surveys – we were able to complete only one survey of vegetation for a dusky grouse nest. With our much larger sample of marked females next spring we should get a much larger sample of nests for dusky grouse. We have completed vegetation surveys for all broods at least once per week as broods have become part of our sample. We have also completed vegetation surveys on dusky grouse males and females without broods based on opportunity. Utilization Distribution – we have created a systematic grid of points across pastures that grouse have been using. At each point we have estimated utilization of grasses and will use this data to extrapolate a layer of the degree of utilization within our pastures. Utilization consists of both livestock and wildlife grazing and we desire to understand the impact, if any, this is having on habitat selection by dusky grouse. GPS PTT Radios – we have had some difficulty with some of our solar powered GPS radios keeping enough charge to send location information through the satellite system. Most of these issues have occurred with males following the breeding season. We have continued to receive Doppler locations (huge location error rates) which indicates all these birds are still alive and moving, but not getting GPS fixes. This is concerning and we are checking with the manufacturer to better understand the issue. We cannot tell if the shaded nature of their habitat is causing the issue or if birds have covered part of all of the solar panel by preening their feathers, or if there is some inherent problem with the units. We hope to get this problem resolved soon. Other units have performed remarkably well and continue to provide lots of location data. Wing Barrels - we were able to get all our wing barrels out prior to the season opener on Sept. 1. We have started collecting wings already. We appreciate the cooperation with USFS in putting these barrels on their property. We hope hunters will return any banded birds that get harvested. We also hope no one shoots a $4000 GPS PTT, but I'm sure it will happen at some point. We would like to acknowledge our graduate student, Skyler Farnsworth, who has put in a Yeoman’s effort this last year to get this project up and running and as successful as it has been. We also thank the technicians who have spent countless hours working on the project: Kade Lazenby, Kyle Hawk, and Zack Slick. Stephen Lytle and Justin Brimhall have also put time into the project as technician support. We also had the privilege of Dr. Dwayne Elmore from Oklahoma State University come and join us for a week of field work in early August. We were able to catch a few grouse with him. If you are wondering why an Oklahoma State Univ. 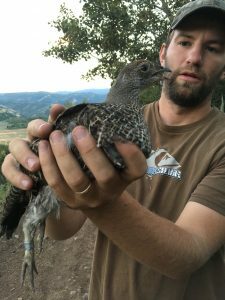 professor would be interested in a dusky grouse project you need to understand Dwayne has a history here in Utah having completed his doctorate here at USU. 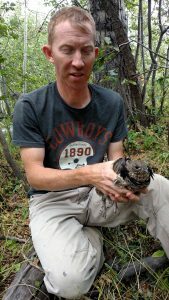 Dwayne became deeply interested in dusky grouse at that time and when he learned of this research project he became involved. Dwayne is also the Bollenbach Chair (Bollenbach's funded the position to improve and support upland game research and management) in Wildlife Biology in his department.